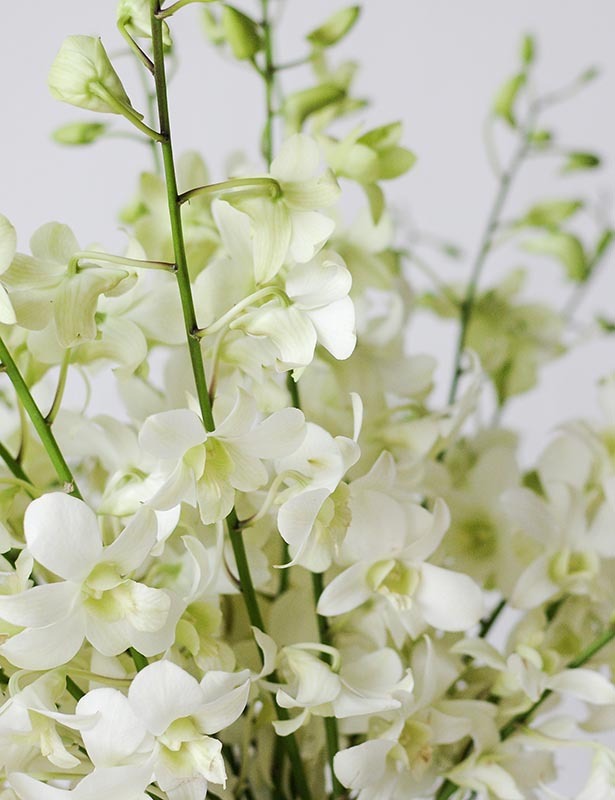 Native to Southeast Asia, the dendrobium orchid name is derived from the ancient Greek words dendron which means tree, and bios meaning life. 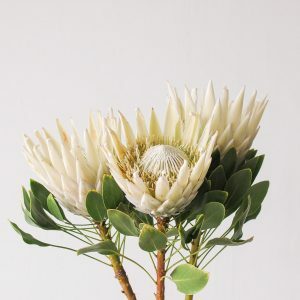 It is an epiphytic plant, which means it grows on other plants and can thrive in all manner of climates and environment. 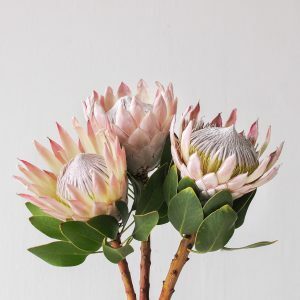 As a result of its adaptability, it now be can be found in diverse habitats throughout south, east and southeast Asia, including China, Japan, India, the Philippines, Indonesia, Australia, New Guinea, and Vietnam. 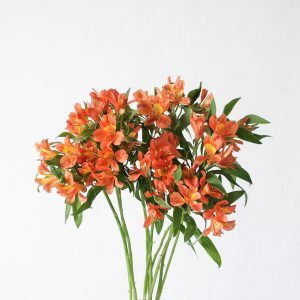 This species of orchid has a vase life of approximately 14 days with frequent change of water and small snips on the stem daily. 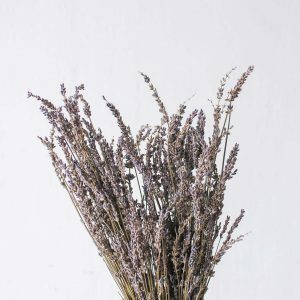 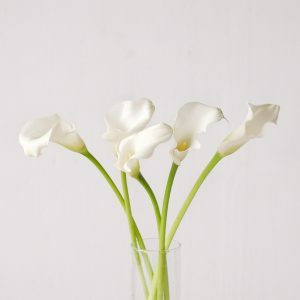 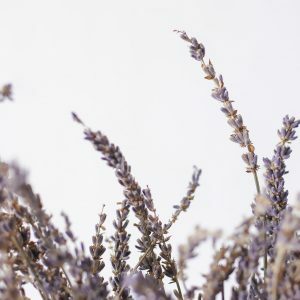 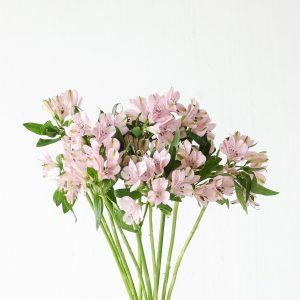 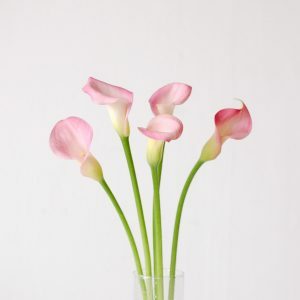 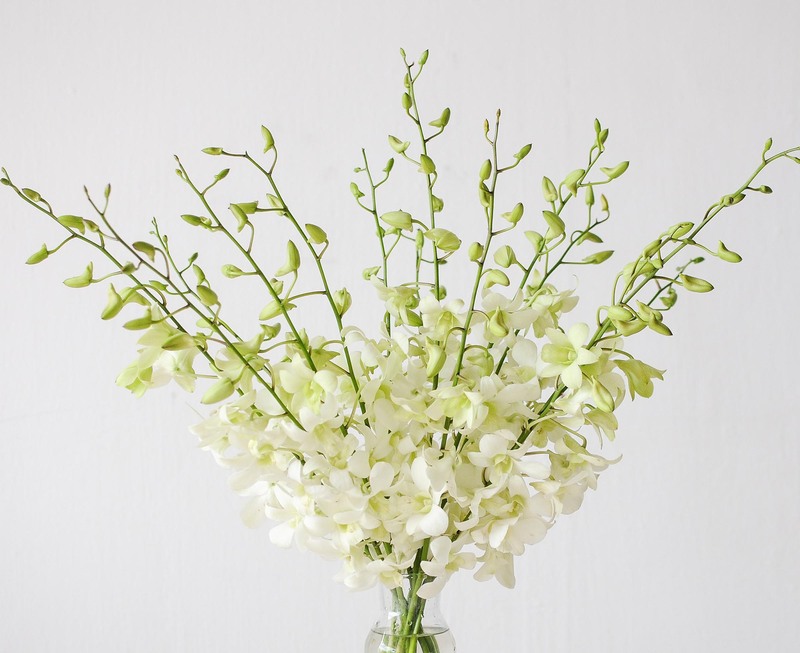 Keep them away from direct sunlight and heat, and they can dress your tabletop for longer than most flowers. 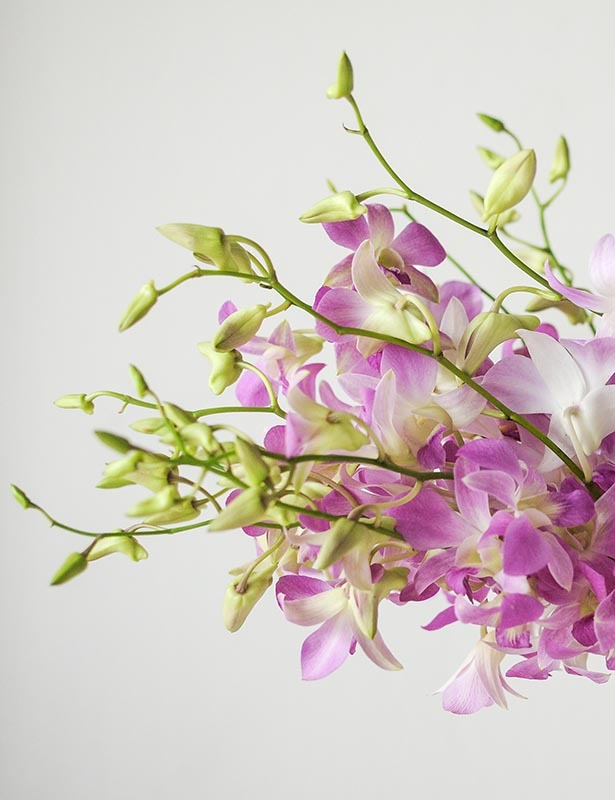 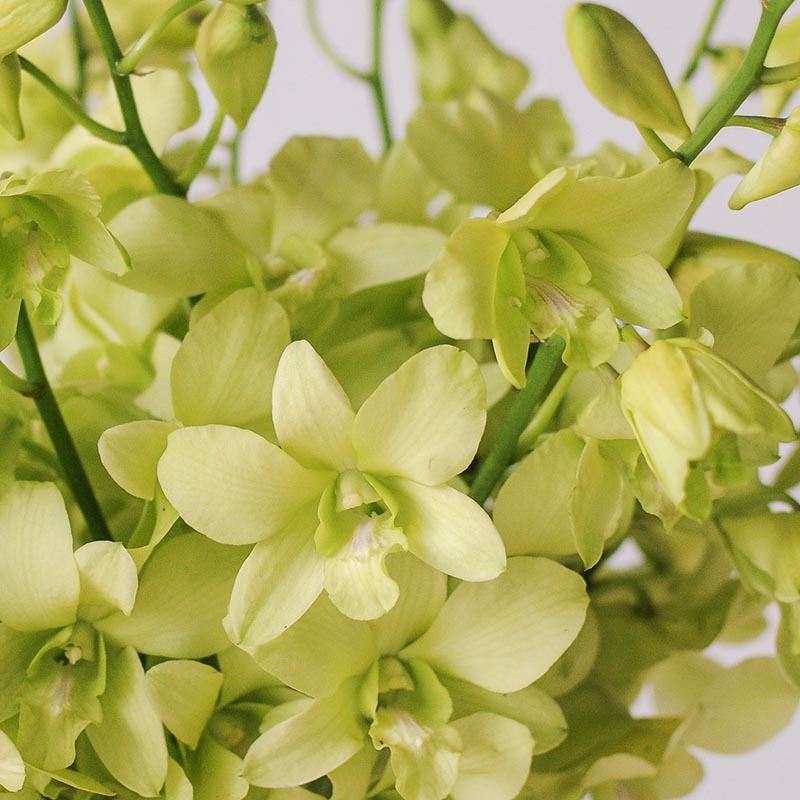 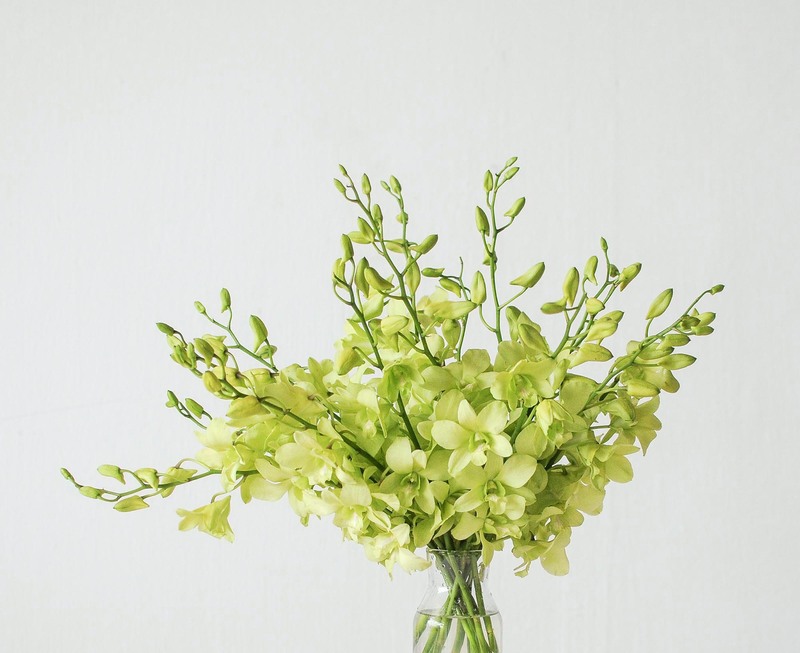 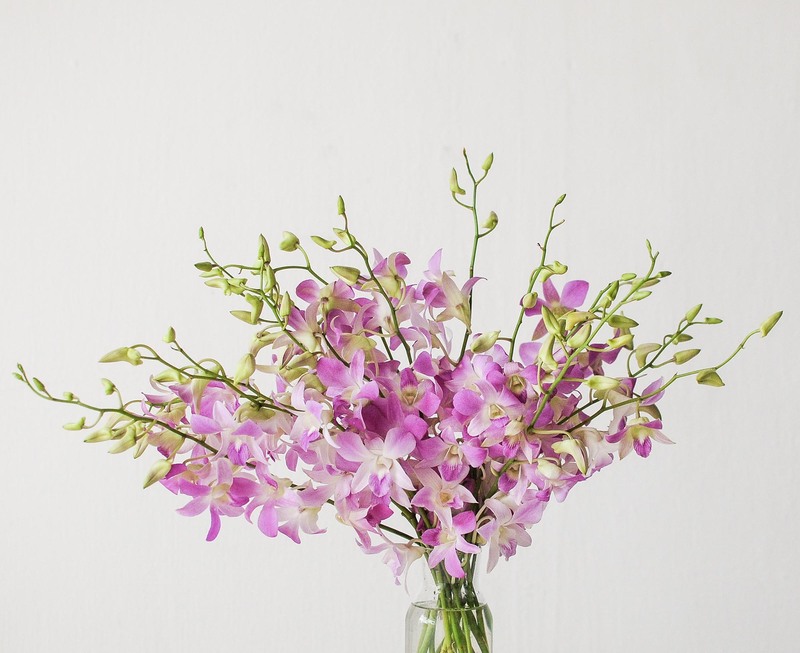 The dendrobium orchid is a short-stemmed variety, ideal for coffee tables or side tables.